Meme - There are various methods to cleanse the pineal gland, from various supplements to psychedelic plant medicines such as iboga. Essential oils can also be used to help detox and stimulate the pineal gland, which is responsible for releasing the substance melatonin and is believed to be involved in reaching higher levels of consciousness. Specifically, cedarwood oil, frankincense oil, and sandalwood essential oil can be very therapeutic for the pineal gland. 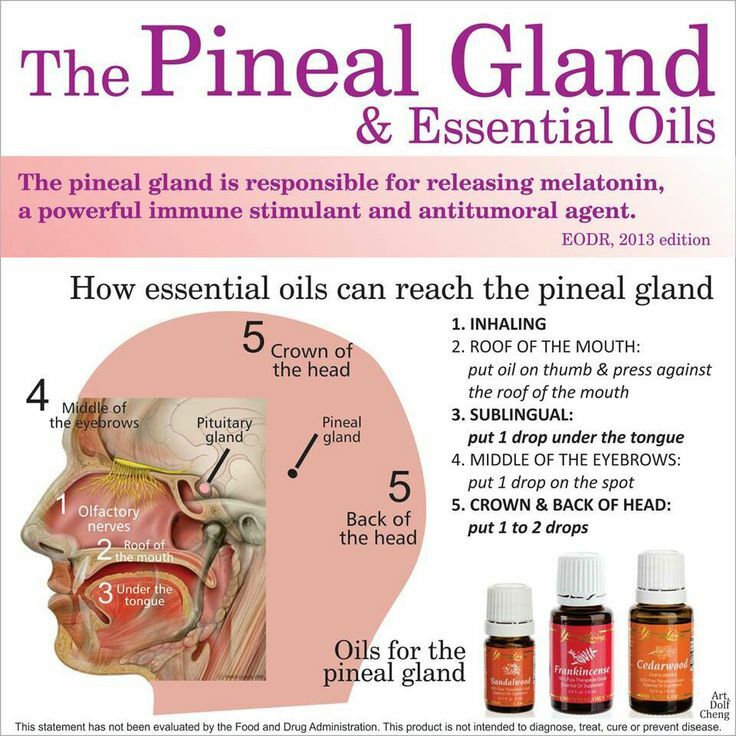 For these essential oils to reach the pineal gland, you must inhale the aroma of the oil and place drops in specific spots around the head, as described in the image below.